This is the priming cover on the water pump. It comes in plastic and metalic version. Often it is lost or stolen on mining sites. 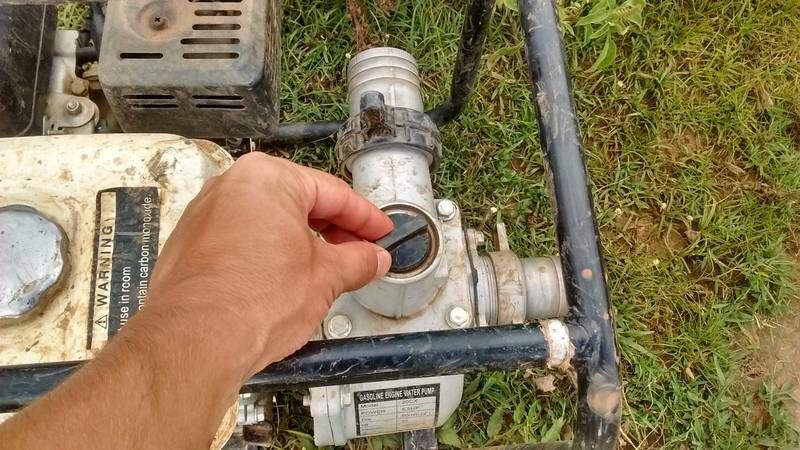 Without it, the pump is not going to work, or with improvized covers such as sticks, pump may easily get broken or damaged. To find the replacement cover one needs to order it from Kampala for some 10,000 Ugs. or US $2.75.